It's now Spring, so let's wave goodbye to Winter! With the weather turning, and Easter on the horizon, now is the perfect time to plan a trip to the beautiful Isle of Wight. To help you get there we're offering 20% off vehicle ferry travel! 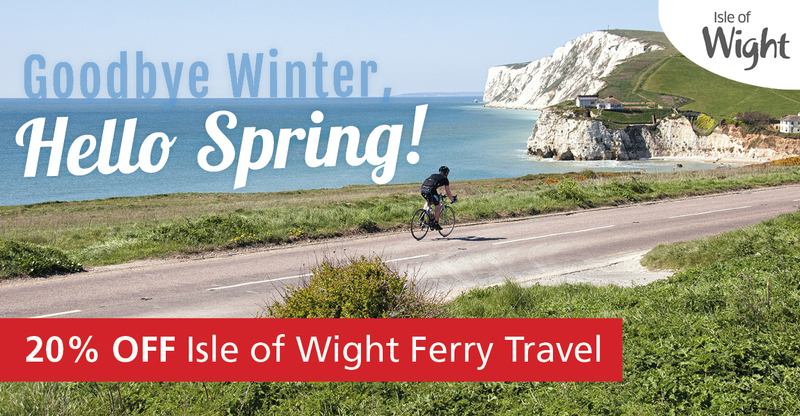 Book and travel by the 30th April 2019, and SAVE 20% off your Spring getaway to/from the Isle of Wight. This offer is good for any duration of travel, so perfect for a fun day out, or a few nights away. Browse attractions, events and activities below and get inspired.